Born of the author's personal experience as well as her studies in Jungian psychology, this book takes the fundamental ideas in Healing the Wounded God, which Vocatura co-authored with Jeff Raff, and applies them to life's most important challenge: developing soul-consciousness by becoming reconciled with the inevitability of one's death. Through folk stories, dreams, and active imaginations, we come to know Death as a personified entity who announces Itself, and who we subsequently get to know as our guide from "Here" to "Elsewhere" and beyond to the Divinity existing in the infinite space outside our created world. Vocatura discusses how Death can be a partner in the journey to individuation and in working with the ally, a psychoidal manifestation of the divine center. Through this teaching, we can become aware of our immortal essence. Vocatura's ideas have collective implications as she sheds new light on the apocalypse predicted in Holy Scripture. 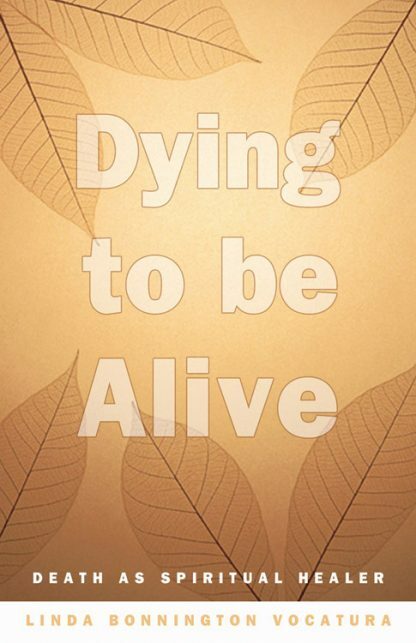 This book is a perfect blend of psychology and modern mysticism that will provide comfort and hope to those who are literally facing death, as well as inspiration for all of us to live life more consciously and never fear death again. Linda Bonnington Vocatura received her BS with honors in Psychology from the University of Washington and a Master's in Social Work from the University of Denver. She studied with the Inter-Regional Society of Jung in Denver, Colorado from 1981 to 1985. Her private practice of 21 years focused on spiritual evolution beyond individuation. The practice was dissolved because of her progressive health problems from an unexpected, rare heart disease. Vocatura co-authored Healing the Wounded God and has presented workshops for both national and local groups on dreams, active imagination, and the ally.